Take advantage of our $1000 sign-on bonus and contact CINDY today for details at 800.249.0664 X100!! Now hiring A-Z Truck Drivers! 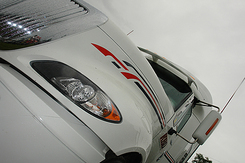 We have opportunities for full-time and part-time drivers! Now Hiring Owner Operators! Great pay, low fuel costs, year-round volumes, an extensive group benefit package and a weekly paycheque! Not quite qualified to go it alone? KBD has a Driver-in-Training program for newly licensed drivers who lack experience. One-on-one practical hands-on training with an experienced driver!